One of my clients brought this beautiful One Block Wonder Quilt. I think this is a really neat pattern and I hope to try one of my own someday. I quilted in a gold thread, a Fan and Floral Pantograph from Kim Diamond Designs, which went real well with the oriental feel of the quilt, the quilting doesn't show up much on the front, which was the goal to blend, but take a look at the back, it pops with a cream and speckled gold background. 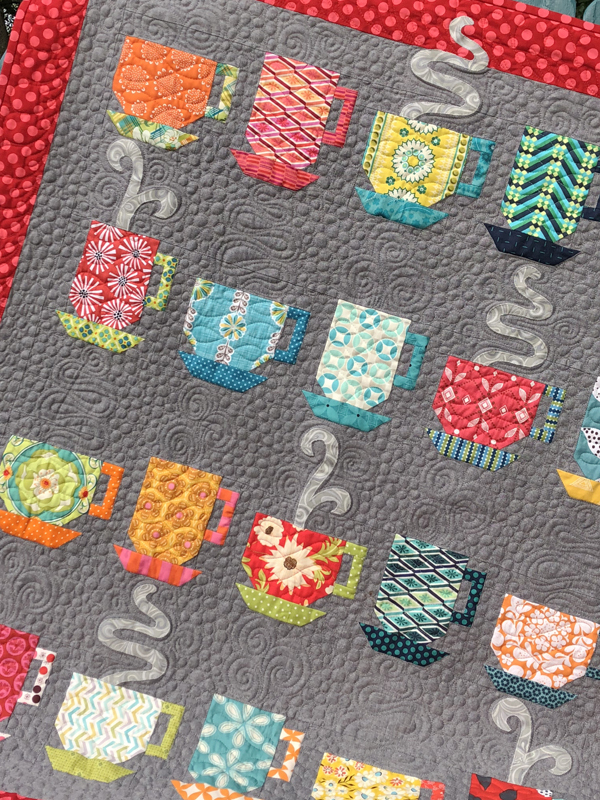 Awesome quilting on a gorgeous quilt. Ohhh la la! I love that. Again, you amaze me. 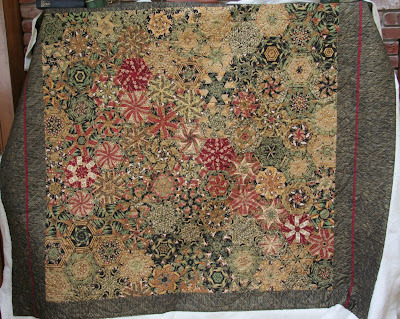 Kim, love the fan pattern with flowers on the one block wonder quilt. Thanks for sharing the pattern name and designer. The customer will be so happy and the gold color thread is perfect too. Oh how I wished I lived near you.....I would love to watch you quilt and one day very soon I am going to get a quilt professionaly quilted. They look superb :) I love your quilting.